Recently, the Parliament of Ghana debated and passed the “Plant Breeders Bill Act 2013” which ostensibly authorized the Center for Scientific and Industrial Research (CSIR) to conduct field trials for three GMOs.5 These GMOs are cowpea, rice, and sweet potatoes. The rationale for genetically modifying these organisms is to address specific needs, including food security, nutritional enrichments, and protection of the environment.6 As anticipated, this generated substantial public outcry throughout Ghana and beyond. 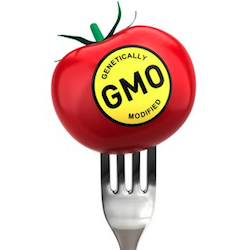 What is behind this global ambivalence toward the acceptability of GMOs? Are these scientifically, legally, and ethically justified? This paper will examine the debates and the challenges on GMOs in general with cryptic references to the Plant Breeders Bill as a case study. I will examine some of these challenges through the acuity of some ethical concepts, such as the uncertainty theory in resolving disagreements, beneficence/non-maleficence, and justice. I will also attempt to propose some policy, legal, and ethical solutions. The introduction of new genes into different organisms has degenerated into contentious debates. Indeed, the hysteria of a new or “foreign gene” in a new host’s genome makes it unfathomable to many people and also raises serious questions. But are these technologies safe? What is the threshold in defining these products as safe? Questions on the possibility of transgenic introgressions into wild varieties of certain organisms such as corn or soybean have been justifiably raised even though no conclusive scientific data has substantively proven it nor disputed the assertions to date.11 Furthermore, one of the major socio-economic aspects of the debate is that small scale farmers may perpetually rely on the big corporations for GMO seeds, which culminates in a high cost in production. It seems society has trust in biotechnology products in general, but it is particularly ambivalent about GMOs. Some religions, especially of the Abrahamic traditions, have some dietary obligations enjoined on them. Some of these include the prohibition from eating pork. What arises is the question of whether or not a gene from a pig used to engineer a product such as a vegetable would constitute a transgression of these religious tenets? This is an important question in the debate prompting many to favor a complete labeling of GMO products.12 But does a particular gene in a genome define an entire organism? In view of these challenges, I will examine these questions with some ethical concepts. What about the socio-political context? It should be noted that, whereas in the US, most initiatives on introducing GMOs have been orchestrated by private companies such as Monsanto while in developing countries such as Ghana, the government has remained quiet on the introduction of GMOs. Given the apparent insufficiencies of the information on GMOs, it begs the questions as to whether ethicists have any formidable grounds to assume a particular position to be accurate or good! The third component to the uncertainty theory is based on the premise of factual disagreements. There is no doubt that there are many biodata on GMOs evidenced in the many scientific publications and peer reviewed information about scientific “facts” on the pros and cons of GMOs.29 On the contrary, some scientists have also demonstrated seemingly convincing biodata challenging and raising the question of safety of GMOs, allergenic reactions and eco-safety. For example, a seminal study conducted on the effect of GMO Bt-Corn on larvae and concluded that material from the bacterium Bacillus thuringiensis (Bt ) are generally thought to have “although plants transformed with genetic negligible impact on non-target organisms, Bt corn plants might represent a risk because most hybrids express the Bt toxin in pollen, and corn pollen is dispersed over at least 60 metres by wind.”30 On the contrary, six teams of scientists also demonstrated and concluded that the GMO corn did not pose any such risks!31 These two conclusions have tangentially demonstrated factual disagreements about the safety of GMOs. In the Ghanaian context, many opponents to the introduction of GMOs made cryptic references to this theory by suggesting that there are disagreements among scientists on the facts on GMOs hence it should not be introduced. But do GMOs actually cause harm or good? What is the factual evidence to substantiate these claims? In an attempt to respond to questions on uncertainty, I propose the ethical theory of beneficence among others. PDF available: Emmanuel Kornyo, "GMOs Part I," Voices in Bioethics (2015). 13Tom Beauchamp et al. Principles of Biomedical Ethics (Oxford University Press; London, 2009) p24. Some call this the ideological part of the debate. 18 This argument carries the potency of the principles of utility. 19 It should be noted here that some genes are also deleted in some GMOs.